They do high quality work, and they make an effort to keep the cost down. They're very reliable, they show up on time, and they clean up after their work. I thought the price was great. They were the lowest bid we had, and they got the job done. They were good. I was really impressed with the work and how fast they were done. I also really liked the prices. I think the people that I dealt with were really nice guys. I liked the people who did the work. They showed me everything and how to work it. I liked the experience from paying the bill. I paid it off in one day, and I liked the sales guy who came out to give me the estimate. I liked the people who did the work. It's just a great group of people. They arrived on time, completed the work in the estimated time, so they were very efficient. 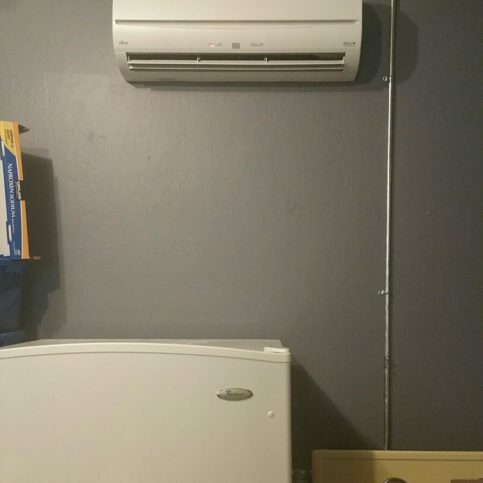 I appreciated that one of the employees helped me quite a lot with understanding the complicated thermostat I had ordered and that he installed for me. I'm not good with mechanical things and he was very generous with his time explaining to me how it works. 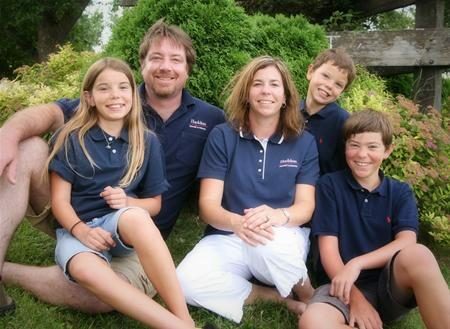 Dave Haddon is owner of Haddon Heating & Cooling. 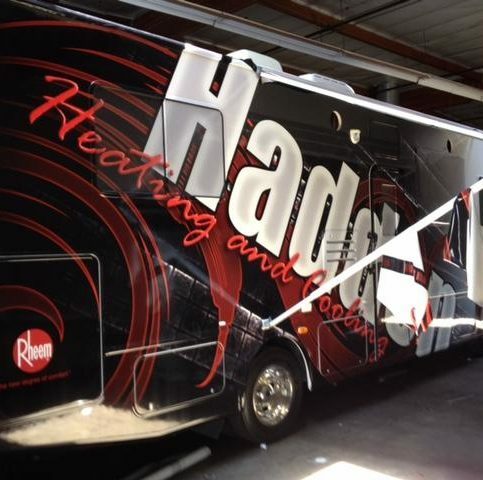 Haddon has been an established name in the HVAC industry for 43 years. 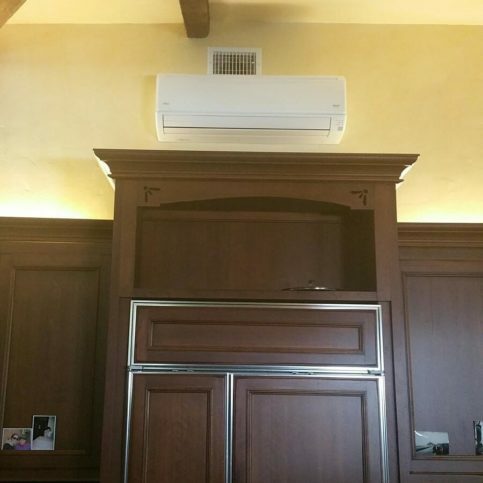 Owned and operated by Dave and Kim Haddon, Haddon Heating & Cooling offers top-quality products and services aimed at making home environments more comfortable and enjoyable. 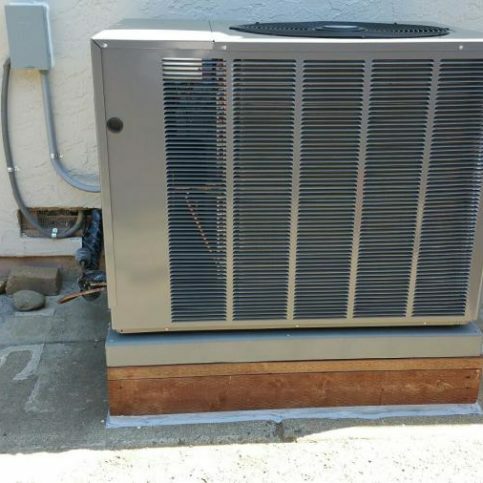 This local company serves the entire Bay Area and specializes in residential heating and air conditioning, ventilation, and filtration products and services, including installation and maintenance programs. The company can repair or upgrade existing equipment or design and install a state-of-the-art system to suit the customer’s individual needs. 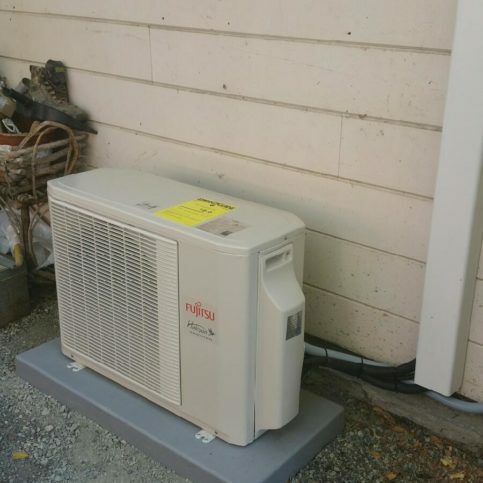 Haddon uses and installs only the highest quality components and is proud to be Northern California’s only Rheem Recognized Top Contractor, which means it provides industry-leading technology, quality and warranties. In addition to measurable savings on energy costs, Haddon’s customers may also enjoy a variety of tax credits and manufacturer rebates on qualifying high-efficiency products. Once a system is installed, the professionals at Haddon will keep it performing at its peak with annual inspection and maintenance. Haddon Heating & Cooling even offers programs to reward customers for referring their friends and family. 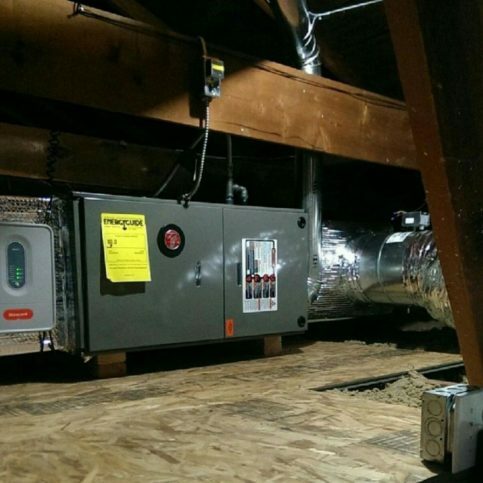 Haddon Heating & Cooling works on modern, high-efficiency HVAC systems. Haddon Heating & Cooling considers every job an opportunity to deliver customer satisfaction. “We take pride in our work, and we honestly care about how each job turns out,” says owner David Haddon. “That’s what drives us. We like to do the kind of work that leads to more happy customers, who may in turn recommend us to their families and friends.” Referrals from satisfied clients have helped the company grow while earning its reputation for quality service. To show its appreciation, Haddon Heating & Cooling offers a program that rewards customers for their referrals. Haddon Heating & Cooling also specializes in designing and installing systems for older homes with dated electrical wiring. 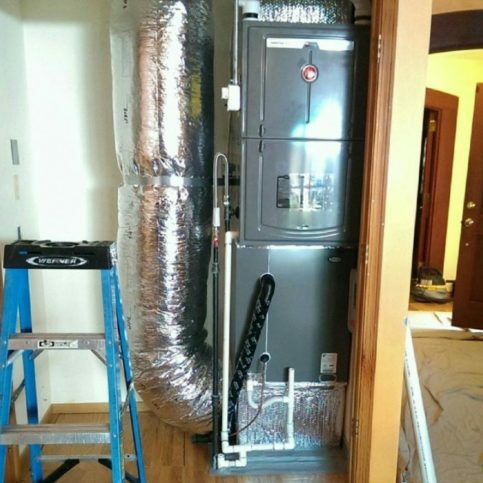 If an old furnace is located in a wall between rooms, the company’s technicians will remove it, patch the wall and paint it to look like new. In fact, says Mr. Haddon, any interior or exterior part of the house that’s impacted will be fixed and restored to look better than new. 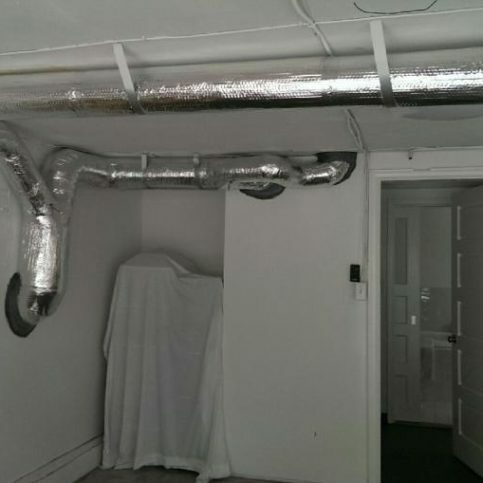 “People really appreciate that service, because it simplifies everything for them.” In the case of older homes with duct systems that contain asbestos, Haddon Heating & Cooling provides abatement services before installing new ductwork. Maintain your new heating or cooling system to prevent future problems and unwanted repair costs. It’s a good idea to hire a qualified contractor to perform an annual pre-season check-up and make sure everything is running smoothly. Heating and cooling companies are extra busy during the summer and winter months, so schedule check-ups accordingly—the cooling system in the spring and the heating system in the fall. Plan these service calls to correspond with the seasonal time changes, when home smoke alarm batteries are also tested. • Check thermostat settings to ensure the system keeps you comfortable when you’re home and saves energy while you’re away. • Tighten all electrical connections and measure voltage and current on motors. Faulty electrical connections can cause unsafe system operation and reduce the life of major components. • Lubricate all moving parts to reduce motor friction and decrease the amount of electricity you use. • Check and inspect the condensate drain in your central air conditioner, furnace or heat pump (when in cooling mode). A plugged drain can cause water damage in the house and affect indoor humidity levels. • Check system controls to ensure proper and safe operation. Check the starting cycle of the equipment to assure the system starts, operates and shuts off properly. • Inspect, clean or change the air filters in your central air conditioner, furnace or heat pump once a month. Your contractor can show you how to do this. A dirty filter can increase energy costs and damage your equipment, leading to early failure. Q: Are your employees trustworthy and easily recognizable? A: Absolutely. 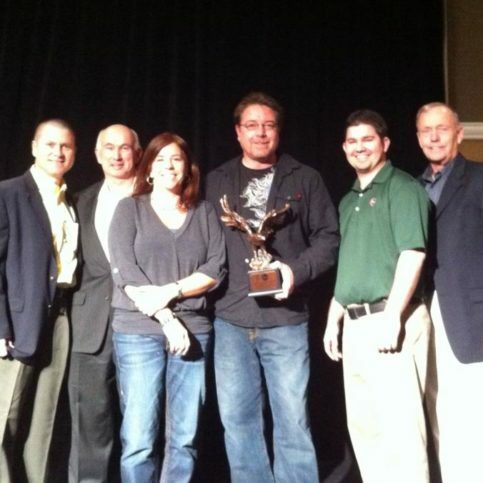 Each of our employees has been with us for quite a while, and our staff is like family. Our employees can be easily identified by their uniforms and name badges, as well as the company trucks they drive. Q: Do you keep jobsites clean? A: Yes. We take measures to ensure work areas are kept completely clean. We prepare each house before we get started—we lay down canvas tarps from the point of entry to where we’re working and cover everything in between—and clean up at the end of every day. Q: How long does the average job take? A: The range is usually one to three days. A two-day project is most common. Q: What’s your average lead time? A: We can usually begin a new job within a week or two, depending on how busy we are at any given time. Q: Do I have to be at home while the work is being done? A: No, as long as we have access to your house and you feel comfortable with us being there. We’re fully bonded and insured, and we employ safe and trustworthy installers. Once you meet them, you’ll feel free to go about your day without worrying about anything. Q: Do you provide a supervisor for each job? A: Yes. 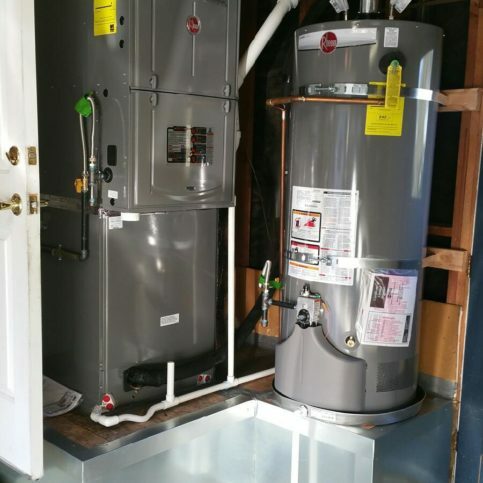 We typically send out a two-man installation team, and one of them is a supervisor. In addition, we have other people in positions of authority who regularly visit jobsites to make sure everything is in order. 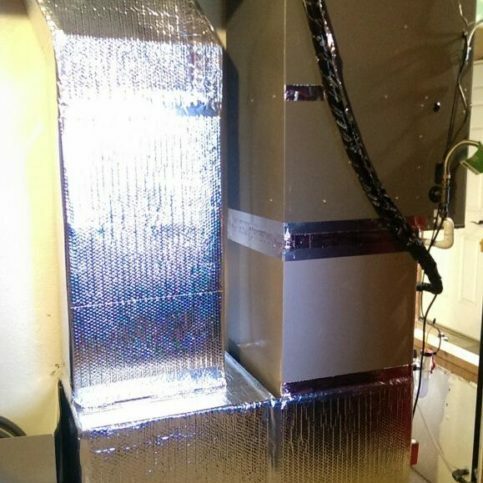 Q: How much savings can I expect with my new heating and cooling system? A: We only install high-efficiency products, so depending on the age of your existing system, the size of your home and the system you’re considering, we can calculate the energy savings you can expect to see. Q: Can you explain the details of any energy-saving incentives, rebates or tax credits that might be available to me? A: Yes. We can walk you through everything, from what equipment qualifies to the steps necessary to obtain them. If there’s paperwork that needs to be processed, we can do that, too. 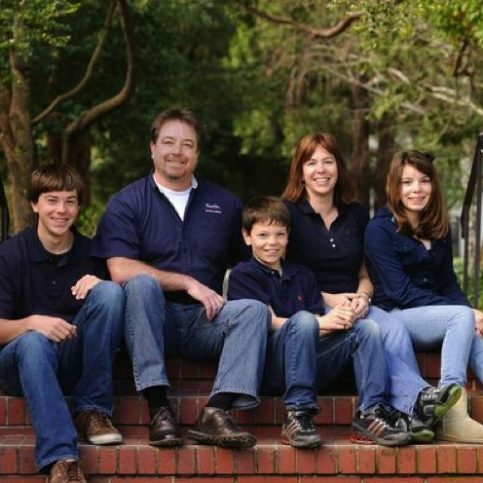 Haddon Heating & Cooling is a family-owned and operated company. 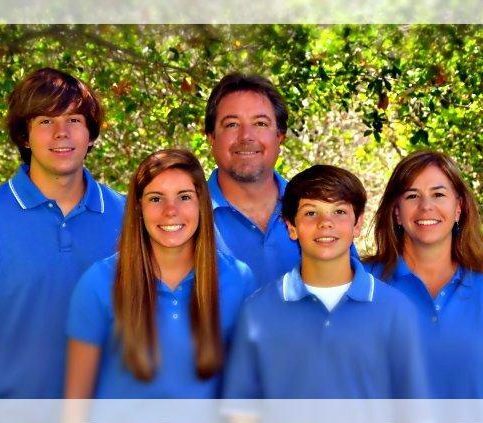 Kim Haddon is owner of Haddon Heating & Cooling, a Diamond Certified company since 2010. She can be reached at (925) 521-1380 or by email. Not satisfied with remaining a novice in her new vocational role, Kim applied herself and gradually developed a thorough knowledge of HVAC technology and techniques. “When I started, I didn’t really know anything about the industry,” she says. “A lot of the terms were completely foreign to me, so it really felt like I was learning a new language.” Thirteen years later, Kim continues to demonstrate her fluency in industry dialect as co-owner of Haddon Heating & Cooling. A: The Dead Fish in Crockett. Q: What were you most known for in high school? A: Music—I sang in choir and also played violin and piano. Q: What’s your favorite film genre? A: Rare and interesting coins. I used to work as a waitress, and I would always look through my change at the end of the night for unusual coins. Internally: In many cases, the filter is located within the furnace’s blower compartment. 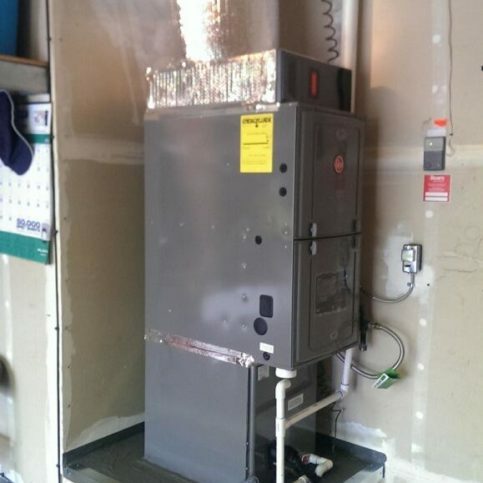 Externally: A furnace system’s casing is sometimes designed with an external compartment that houses the filter. 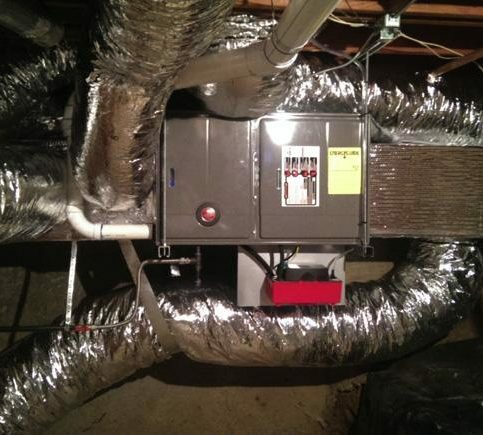 Return air grill: If the filter isn’t integrated within the furnace casing itself, it may be situated within a return air grill, which typically can be found in the ceiling or a nearby wall. 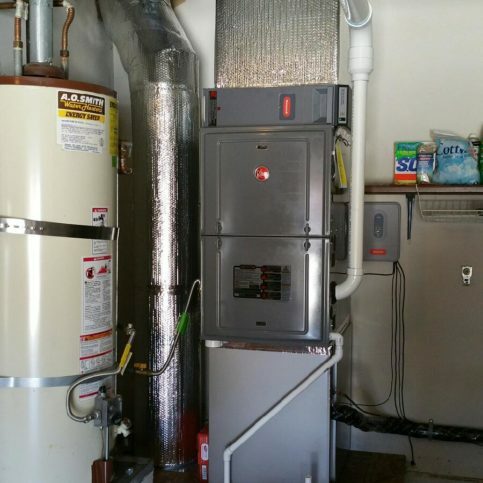 Since furnace filters come in various sizes, it’s important to determine which size your furnace accepts before purchasing a replacement. Filters are usually labeled with numbers denoting size and style, which will help you get the correct model. If, however, you discover that a filter was never installed in your furnace to begin with, you can determine the correct size either by referring to your owner’s manual or measuring the inside area with a tape measure. When replacing a furnace filter, correct installation is also important. 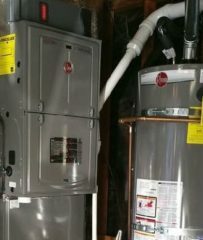 Filters are typically labeled with arrows that denote the proper air flow direction, so be sure to check this before installing. Also, as a safety precaution, always turn off the furnace before replacing a filter. CONCORD — Host, Sarah Rutan: An important part of maintaining your home is learning how to find, remove and change your filters. Today, we’re in Concord with Diamond Certified Expert Contributor Kim Haddon of Haddon Heating & Cooling to learn more. Diamond Certified Expert Contributor, Kim Haddon: Changing your filter is important to keep your system working efficiently. I’d like to show you some locations where your filter could possibly be. The first is internal to your heater. The second is external, in a filter rack. And the third possible location very commonly found is a filter grill. The filter grill holds the filter. If you don’t have a filter in here when you go to change it, you will need to determine what size filter you need. In order to do that, you may want to have a tape measure handy and you’ll measure the inside over from these directions. The inside of where the filter sits, not the outside. Once you know what filter you need, and you’ve purchased your filter, changing it is pretty easy, removing the filter, reinstalling the filter. There are numbers again, if you have the filter. Also, the air flow direction. The air should travel back towards the unit. Therefore, if you are following the arrow, the arrow should be pointing back towards the unit, the air traveling through. Once again, changing your filter is going to help keep your system working efficiently and lasting a long time. Haddon Heating & Cooling : Average 8.9 out of 10 based on 277 unique customer surveys of customer satisfaction. They were very professional, and provided great service. The salesperson was very knowledgeable, and the technicians were very good. They answered all of my questions, and they went above and beyond. They even did something that was a little extra, and they didn't charge me. They did a really good job, and I've had no problems. They were here on time exactly when they said they would be. They were very nice people, very pleasant, and they were very knowledgeable. They cleaned everything up very well. Professional, friendly, and knowledgeable, I found them in Home Depot and have used them four times since. The crew was very friendly and the management also. They answered any questions I had, and they came in and got the job done. Nothing in particular, they just do a great job, and I have used them twice. I had a really good experience. They are upfront, did the work neatly, took really good care of things, and the job was done quickly. Cleanness, they were also very careful on how they worked in the house. I was very satisfied. I have recommended them to other people. They were very quick, and didn't have me waiting. They knew what they were doing and came in and did it. They did a quick repair, a little pricey, but they got done what we needed done. They were very easy to deal with, and they did good work. I liked the way they explained the various options to us. They were very professional and they knew what they were doing. They were very responsive and professional. It was just a good experience. I have used them repeatedly. I would say their professionalism. I think they're very reliable. The guys were out here quick and got us back up and running within a couple hours. They were nice and respected our home. They did a great job, and we just recommended them to our neighbor. I believe the gentleman's name was Russ, and he was great.